Many people get frustrated around Mother's Day because they want to celebrate it but feel totally stumped not just about what to get for mom on Mother's Day, but also where to go! Should you do what's always been done? You could go to a series of predictable restaurants, where she's surely been before and will likely encounter long waits due to the influx of other Mother's Day enthusiasts. But we would like to make some different, more creative suggestions for great places to celebrate Mother's Day for those in Southern California. Of course, we at Ontario Bakery, would love to be a part of your day in any way we can. But since we likely cannot join you, take along some of our freshly baked treats in our stead. It's the least we can do! Paso Robles Wine Festival: Okay this is for May 15-18, but totally worth the wait. The festival kicks off May 15th with a wine maker's dinner, the 16th will feature the wine maker's library and treats to go along. The 17th will include an entire wine maker's seminar, followed by more than 60 wineries coming together in the Paso Robles Downtown City Park, to showcase their wines alongside culinary samplings, special tastings and seminars during grand tasting. If mom is a wine drinker, this would be a great event to provide tickets for and either make it a romantic weekend or time with the girls! Big Bear Mountain Resorts: Just about 100 miles northeast of downtown Los Angeles, in the San Bernardino Mountains, you'll find the Big Bear Mountain Resorts, full of fresh mountain breezes, clear blue skies and a blend of both stillness and activities to relax and invigorate you! It's a great place to hike with mom and picnic at the top! The area has an expansive network of different trails for all skill levels. One of the shortest routes down the mountain is a one-mile service road, offering breathtaking vistas and a family-friendly way to view firsthand the numerous assortments of wildflowers that bloom during the spring and early summer months. Palm Springs: Known for it's relaxing desert heat, it's the perfect place for the mom who wants to warm up and fully unwind. Book a two night stay soon, for the whole family, as this is a place you'll want to park you'll want to take advantage of pool side! The clean dry air and sunshine, just 120 miles east of Los Angeles, have made Palm Springs irresistible to the California attraction. Travel time from Orange County is only 90 minutes. Located in the heart of Palm Springs, you will find their adorable downtown strip hosting the weekly Villagefest. Full of luxury and street dining, live entertainment, handcrafted goods, beautiful art and sidewalk cafes, this a hot spot mom's sure to enjoy! To the Beach: Most people love a beach trip and assuming the weather is beautiful, the whole family is sure to have a great time. For the scenery, you may enjoy the beaches of Laguna and Newport in Orange County. If you're more northwest, you may prefer Pacific Palisades, just north of Santa Monica and south of Malibu. The beach is a relaxing place to celebrate mom's hard work with a picnic and sweet treats. As always, the weather can be unpredictable, so bring a blanket, sun-brella and sunscreen! Hopefully, those ideas will get your wheels turning. Mom has an unending list of reasons to be celebrated, so have fun with it! Of course, reach out and let us know how we can add even more sweetness to your day with our cakes, cookies and treats! Need Ideas for a Simple Special Way to Celebrate Mom on Mother's Day? Mother's Day is a day to honor those who passed on life but such an honor can be hard to shop for! The amazing women in our lives have given their all to see us succeed and grow in leaps and bounds. But what do you do for such an incredible woman when it feels like all has been done before? How can you keep in heartfelt? Below are a special suggestions for some simple ways to honor mom! Flowers. Ok - I know I said I would suggest unique ideas, but I still wanted to suggest flowers for their beauty and dependability. Flowers are a tried and true way to celebrate mom, with the added bonus of the spring time variety of options available! Choose colors that reflect mom's unique individuality or even ones that you feel represent her nurturing and care. Some personal suggestions would include hibiscus (very fragrant! ), lavender and lilies! Personalized Coupons. This is a great one, especially for the little ones to do for mom! You could make a 5-15 page book full of redeemable coupons for caring services. Make ones for foot rubs, doing the dishes, washing the car, doing the laundry and more! But remember, she WILL redeem them, so plan them out carefully! Breakfast in Bed. Now please, with this one, don't wake her up! Keep it personalized to HER needs. She may not want pancakes. She might want fresh juice, a cup of tea and her favorite book! Absolutely make sure she has a flower or a few sprigs of lavender and rosemary to bring a fresh and relaxing aroma to the morning. Day for Mom. She's given years. So give her a day. This day should push her out the front day (sans kids) and into the world. Be generous and stock her wallet with some funds so she can have a pampering adventure meant just for her! Hire a Driver. An upgrade from the last one, give her the relaxing gift of having the day to herself and not even having to drive! Imagine the surprise and excitement in her face when she's dolled up for lunch and finds a driver, door open, awaiting her presence. She will be queen for a day! Arrange for a Spa Day. Being a mom can really wear any power woman out! The gift of a spa both detoxifies, relaxes and rejuvenates her on the inside and out. She could have the chance to be massaged, dip in to a soaking pool and even relax in a sauna. Has any woman even turned that down?? Mom is a miracle and she's given life from her own to her children, which is why we believe she is worth celebrating. At Ontario Bakery, we want to be a part of your joy by providing custom delicious cakes, cupcakes and treats! If you're in the Orange County area, please get in touch and let us know how we can make your day even more special. Stressed About Your Event? Ontario Bakery Makes Custom Cakes for All Occasions! The incredible events in your life like your wedding, birthday, anniversary and other special occasions are important and deserve to be have a memorable cake to go with them. For over 50 years our family bakery in Ontario CA has created fabulous, unique, moist, delicious cakes, on time, and exactly as ordered, that add something special to your family's celebration. When it's time for you to make that choice and select a bakery for your upcoming event, we know you want the very best. And that's what you deserve. We have a reputation for delivering exactly what you would expect from what's known as the best bakery in the Inland Empire. Being a family business, nothing makes us more happy than getting to know you and your entire family as we have with so many others over the years. Once you've experienced our moist and delectable birthday cakes or cakes for any occasion, you will likely be back for every event where a special cake will add to the fun! The photos of your wedding reception will likely feature a cake, so why not make it a piece of art? If you're not sure what cakes are available to you, please browse through our personal gallery for inspiration. 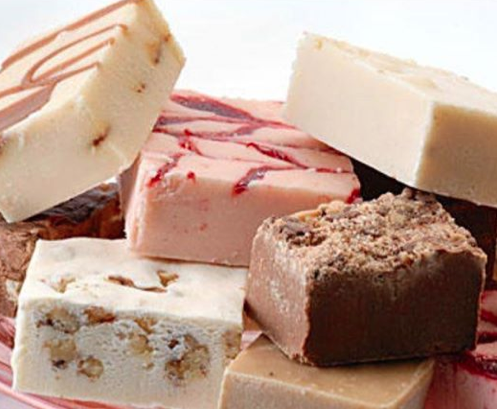 Of course, the picture can only get you so far, so when you visit us you will also get a chance to taste various wedding cake flavors and fillings. 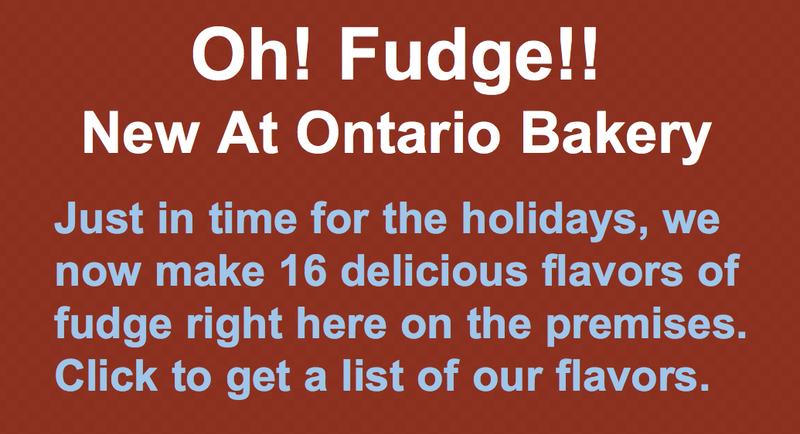 We are well known as having one of the biggest selections of delicious options anywhere near Ontario. We invite you to come sit down with one of our Wedding Cake Stylists. They will take you through some wedding cake pictures that we have specially assembled to help you design your wedding cake. As you and your stylist enjoy the pictures and tasting, we are confident that your perfect wedding cake will emerge. Then it will be up to us to produce a wedding cake exactly to your design and add it to our picture gallery of incredible and scrumptious wedding cakes. Feeling Stumped About Your 13 Year Old's Birthday? Here Are Some Great Ideas! If you're planning a birthday party for a 13 year old girl, you're going to have to promise your tween not to decorate with streamers, balloons, banners or themed deserts; after all, she's almost a woman? So my first suggestion? Take your daughter and have her sit with you on Pinterest or Etsy to get both of your wheels spinning around the possibilities. From invites and locations to activities and gifts, it's a great place to start. Change it up, what about having a karaoke night? You can rent out a machine at home or go out for the real experience! Some places have age restrictions, but you usually have the option of renting out a little room out. Add grabbing Chinese food to that mix and you've made a classic win. Unique Spring Ideas for Your Birthday Party and Baby Showers! Springtime is the time when new growth is everywhere. With flowers blooming, lush grass and trees in vibrant greens inspire your desire to celebrate!! Whether you're preparing for Easter, throwing a baby shower or a festive birthday gathering, please allow us to make a few suggestions to make it the best spring party you've ever been to; or thrown for that matter! First of all, here are a few accents and items that deserve some special attention if you have the means to purchase or borrow them! Bubble machine: How fun!! Kids love chasing and popping their magical entertainment! Barbecue: Usually associated with summer, but spring announces the coming of summer, right? Baby Animals: Know anyone who's pet just had babies? Spring is a time for renewal and a great time to welcome new life! Fresh flowers: Get the most fragrant ones you can! Your guests will swoon! Picnic baskets: Pack them like treasure chests and have prizes for games inside them! Fold a piece of green card stock in half and decorate the front as an outdoor scene. Cut a strip of blue construction paper to glue to the top of the card for the sky, and then add butterflies, birds, flowers, trees, grass, and other things representative of spring to the scene. Write your party details inside. Now it's time to set the mood. Hang streamers, ribbons or even strips of fabric from tree branches in the yard. They will float in the breeze and add to the party ambiance. Fill small pots with green pebbles, rocks or candies and place a round lollipop or cake pop in the center of each pot to resemble a flower. String huge tissue paper flowers and tie them in a chain along the tables or even tie some finished flowers to the backs of chairs. Use watering cans to hold arrangements of fresh or paper flowers. Balloons are always a must! Group helium balloons together and anchor them securely to chairs or weighted watering cans. Lastly - use vibrant or pastel colors that bring out the floral feel and smell of the air whether it with ribbon, streamers, flower pots, paper flowers, icing, sweets and balloons! Obviously, what would a good spring party be without cake, cake pops, cookies and your other favorite treats? At Ontario Bakery in California, we love making your party the most delicious event of the year! Call us or stop by and tell us how we can serve you! Have You Ever Seen A Cake Like THIS? Shockingly COOL Cakes! There are some cakes out there that we've all seen dozens of times. But the world is full of unique people, celebrating in unique ways. So shouldn't our cakes be allowed to have their individuality too? Nothing against the norm at all - a simple white cake has it's place! But today, we'd like to look at some alternatives. When someone says, CAKE, we typically think of round, square, floral, messages and sprinkles. But what else is possible with your cake? What's not to love about images, plants and even limbs, not just added to the cake but an edible part of it? No longer bound by the need to plastic eyes to be attached. We are excited to give you more cake for the tasting and more art for the enjoying! From petals and leaves to faces and fixtures - 3-D options are only limited by your imagination. Not JUST bright colors... but add texture, layers and sheen! Have a cake that LOOKS like a pillow, blanket or even an edible ring topper! Our vibrant icing and decorative colors make for elegant and show stopping colors that entice the eye and tantalize the taste buds! Can't think of something special? That's ok. It's time to brainstorm and think of what makes you YOU. Are you an artist? A singer or avid book reader? What's your favorite novel or series? Take a topic or symbol from your art, music or favorite story and run with it! What would the character like to have? Who is your favorite painter or sculptor? There are many possibilities here, see what's best for you! As seen in the zombie cake, things like strawberry fillings aren't limited to just between the layers! Create rivers, dew drops, waterfalls, (blood), wine and so much more. You can really play here with the colors and flavors, so let it be good! Aside from the semi obvious, like movie star faces and film reels, you can do a lot to emulate your favorite film or era. What about a walk of fame star? You could have 'the ring of power' hiding on the cake somewhere with a sneaky Gollum ready to pounce! Go more refined with an Audrey Hepburn classiness and choose Tiffany blue! Kids aren't the only ones who should get to feel like a star at their parties! Whether it's Gatsby, Madmen or Twilight... jump in! You'll have so much fun! At Ontario Bakery we love personalizing your celebrations and parties! Whether birthday, wedding, graduation or shower, we are here to make your day a little sweeter! 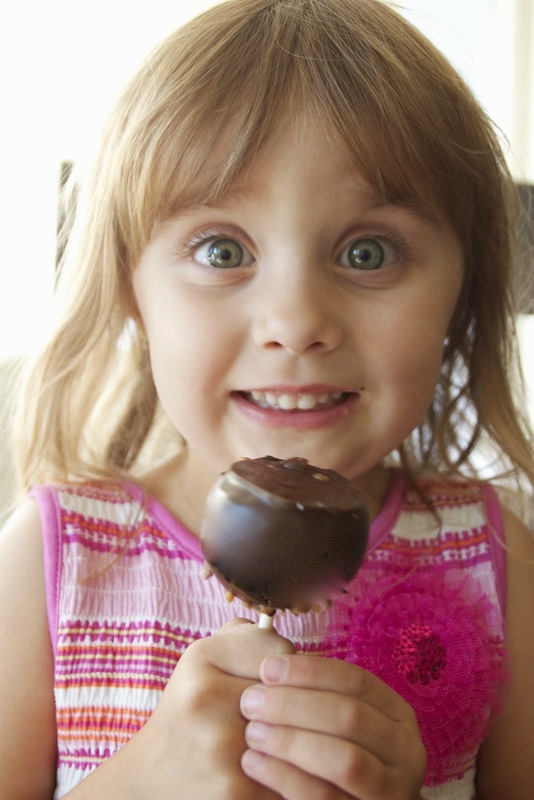 Call us today and order your one of a kind delight!